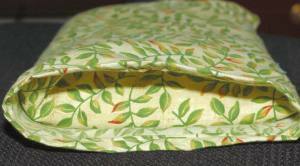 A homemade heating pad project with a pillowcase. 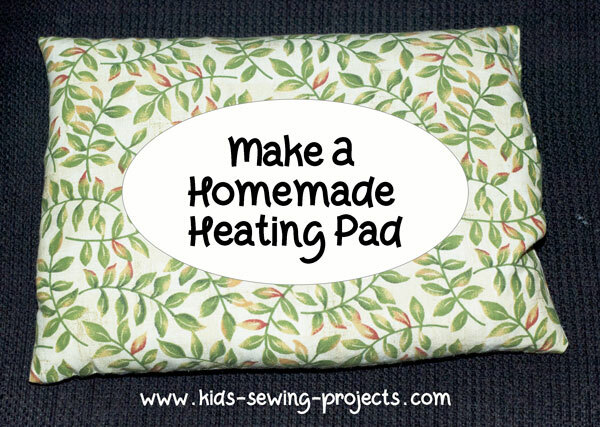 This Homemade heating pad with a pillowcase would make a great present and is something kids can put together with just a little practice sewing straight stitches on the sewing machine. Place the two 9 x12 inch pieces of material right sides together. 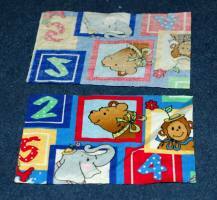 Sew three sides together by sewing one side to the end, take it off the machine and sew the next side. Don't forget to do your backward stitch after the first few stitches and at the end. (We will learn how to do corners in the next level-if you already know how go ahead!) Sew half way up the last side. Turn right sides out. Stuff with long grain white rice, but don't use Minute Rice. Stitch the opening closed by hand sewing. Make sure your stitches are close together so your rice won't fall out. Place the two 10 x 14 inch rectangles right sides together. Sew one side to the end, take it off the machine and sew the next side. Don't forget to do your backward stitch after the first few stitches and at the end. Leave one short side open. Turn the edge over and pin in place. Sew along the edges removing the pins as you go. 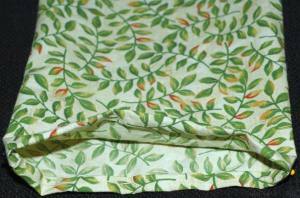 This is called the hem. Turn right side out and your pillowcase is all done. 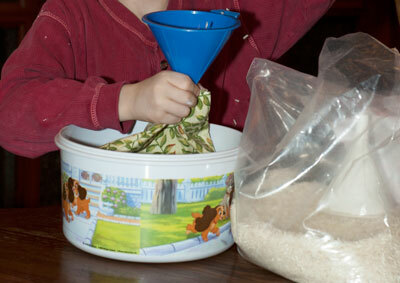 **You can take the pillowcase off and wash the pillowcase which will make your rice pillow last longer. 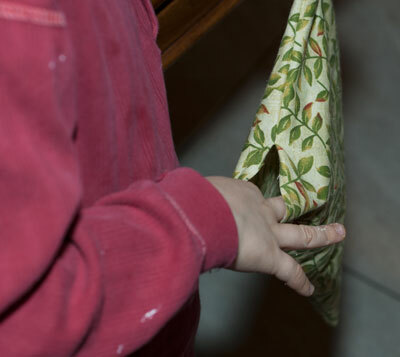 Take pillow out of pillowcase and warm in microwave for 1-2 minutes. Test the temperature before giving it to a child. Back to Sewing Level 2 from Homemade Heating Pad.